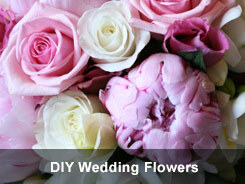 Here you can gain access to our growing list of wedding craft projects. I have put together a number of step-by-step DIY wedding guides that will help you create unique wedding decorations and invitations. 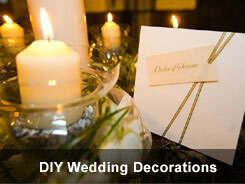 They are grouped into invitations, flowers, cakes, centerpieces, favors and decorations. I hope that you find them useful. Here are some of our most popular tutorials. If you have any thoughts or craft ideas that you would like to share, please let me know. This centerpiece will look wonderful on your wedding reception tables if you having a vintage wedding theme. These simple but very elegant wedding invitations are a perfect wedding craft project. Create a Candle Wedding Centerpiece with Real WOW Factor. 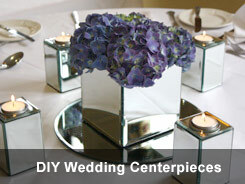 Looking to create a centerpiece with candles then check out this step-by-step wedding project. Create your own special flowergirl pomander ball that any little girl will love. 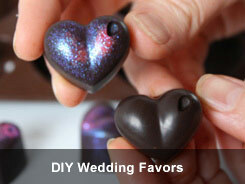 You might be quite surprized how easy it is to make your own diy chocolate wedding favors. Even if you are not getting married on a beach, wedding flip flops are perfect for tired feet. 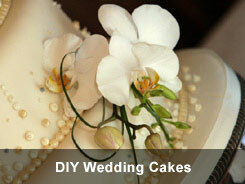 Do you need a cake stand to show off your wedding cupcakes, then check out my diy wedding craft project. 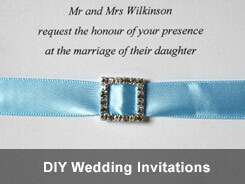 Add the perfect finishing touch to your wedding invitations by decorating the envelopes.